What rules and laws control evictions for rental properties? In Arizona, Commercial and Residential Landlords must follow the Rules of Procedure for Eviction Actions . Residential Landlords must also comply with the Arizona Residential Landlord Tenant Act A.R.S. §§ 33-1301 to 33-1381. Commercial property Landlords must comply with Landlord and Tenant laws A.R.S. §§ 33-301 to 33-381. In addition, in both commercial and residential contexts, the Landlord must also be guided by the terms of the written lease. Can I use self-help means and lock a tenant out of the property? A Landlord of a commercial property, after complying with appropriate notices in the lease, has the right to use self-help means against a tenant in the event of a breach. This allows the Landlord of a commercial building to change the locks and lock a tenant out of the property. A Landlord of residential property generally cannot enter the premises and lock out a residential tenant. The only way a residential Landlord can remove a tenant is to file an eviction lawsuit. One exception to reentering the premises is when a tenant abandons a property. But even when a tenant abandons, the Landlord must still provide proper notification to the tenant before retaking possession pursuant to A.R.S. § 33-1370. Do I need to send written notice before evicting a residential tenant? The first step in the eviction process is for a Landlord to send either a five or a ten day notice alerting the tenant of the breach and giving the tenant time to cure the default. The Landlord should refer to A.R.S. § 33-1368 to determine the right amount of time to give the tenant depending on the type of breach. The lease may require a longer notice so a Landlord should also review the lease before sending the notice as well. If certain dangerous crimes are being committed on the rental property, the Landlord has the right, pursuant to A.R.S. § 33-1368(A)(2), to provide a tenant with written notice that he is immediately proceeding with an eviction lawsuit without giving the tenant any time to cure. What is the proper way to send the tenant the written notification of breach? A Landlord should start by looking at what notification methods are required by the lease. If the lease is silent, the best method to send the initial default notice is hand-delivery. If that does not work, posting and/or mailing will suffice. The Landlord should try to have some evidence that he actually sent and possibly the tenant received the notice to avoid an argument by the tenant that he did not receive proper notice. What happens if the tenant cures? The lease is reinstated if the tenant cures his/her breach. What if the tenant does not cure? If the tenant does not cure the default within the time specified in the notice, the Landlord may proceed with filing the eviction lawsuit. Where do I file the eviction lawsuit? If less than $10,000.00 in rent and damages are owed, the Landlord has the option of filing either in the Superior Court or Justice Court. There are advantages and disadvantages to both Courts so a case by case analysis needs to be done to determine the proper Court. If more than $10,000 is owed, the Landlord must file in Superior Court. However, if the Landlord owns his property through a corporation or LLC, the Landlord must have an attorney representing him in the Superior Court. In the Justice Court, provided certain statutory requirements are met, if the Landlord owns his property in a LLC or corporation, he may represent himself. However, we still recommend utilizing an attorney to navigate through the Courts. How do I start an eviction lawsuit? An eviction lawsuit is commenced with filing a document called a Complaint detailing the reason for the eviction. Arizona has specific rules governing eviction Complaints. Those rules require the Landlord to insert certain minimum elements within the Complaint (See Rule 5 of the Rules of Procedure for Eviction Actions for the 8 to 15 minimum requirements). n addition, a Residential Eviction Information Sheet providing the tenant with notice of his rights is also required to be attached to the Complaint (See Appendix A to the Rules of Procedure for Eviction Actions). The Landlord must also file a Summons with the Court with a space left open for the Court to insert a return hearing date. The Summons also has specific requirements and a Landlord should review Rule 5 of the Rules of Procedure for Eviction Actions). If the Landlord fails to follow these minimum requirements and/or provide the tenant with the Residential Eviction Information Sheet, the Court will dismiss the case. What do I do after I file the Eviction Complaint? After the Courts inserts the return hearing date on the Summons, the Landlord must serve the Complaint, the Residential Eviction Information Sheet, and the Summons upon the tenant. In the residential context, personal service can be made either by a process server or sheriff through personal delivery or the process server or sheriff may leave a copy of the Complaint, Residential Eviction Information Sheet and Summons on the tenant’s door and mail a copy of the Summons and Complaint (this is commonly known as nail and mail). How soon is the initial return hearing? By statute, the return hearing must be set within 3 to 6 days after the filing of the Complaint and Summons. What happens at the initial return hearing? The tenant has the right to appear and defend and file an answer at the return hearing. Generally, in eviction actions, counterclaims are not permitted. If the tenant does not appear and defend, the Judge will enter a default Judgment against the tenant for unpaid rent, damages and will order the tenant to vacate five days from the Judgment. If the tenant appears at the return hearing, the judges have great discretion to inquire with the tenant on the veracity of the tenant’s defenses. If the Court determines that the tenant’s defenses lack merit, the Court will enter a judgment against the tenant just like if the tenant had not appeared. The Landlord should bring two different versions of a form of Judgment with him to the return hearing for the Judge to sign (One stating that the tenant appeared and one stating that the tenant did not appear). If the Court determines that the tenant’s defenses have merit, the Court will then set a trial. Typically, the trial occurs either the day of the return hearing or within 3 days of the return hearing in Justice Court or five days in Superior Court if one of the parties asks for a continuance or if the Court’s calendar is too full to schedule the trial that day. Is disclosure and discovery required if a trial is set? Upon request, limited disclosures are required pursuant to Rule 10 of the Rules of Procedure for Eviction Actions. Upon a showing of good cause, the Court may allow limited discovery including depositions, request for production and inspection, and subpoenas. Does the tenant have a right to jury trial? Possibly. A party who wants a jury trial must ask for it at or before the initial return hearing or the party loses that right. But, even if requested, the Judge has a great deal of discretion to determine if a jury trial is even necessary. After a judgment is entered, the tenant has 5 days to vacate. If the tenant does not voluntarily vacate after the Judgment voluntarily, then the Landlord may have the Court issue a Writ of Restitution issued which allows the sheriff or constable to forcibly remove the tenant from the Landlord’s property. What if I don’t know the full extent of the damages to the property at the time I file the eviction lawsuit? A Landlord has the right to seek damages in the eviction lawsuit or may file a separate lawsuit for damages against the tenant at that time or a later time once the Landlord understands the full extent of the damages caused by the Tenant. Do I have the right to recover my attorneys’ fees? 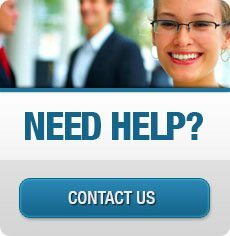 The Landlord has the right to recover reasonable attorney’s fees from the tenant. Typically, in Justice Court the Judges limit those fees to under $1,000. In Superior Court, the Judges usually allow for a higher amount. Does the tenant have appeal rights? Yes. However, the tenant may have a hard time staying in the property during the appeal process. If a Justice Court case is appealed to the Superior Court, the tenant must pay a cost bond; pay rent during the appeal and post a superseadeas bond to stop the enforcement of the monetary portion of the judgment. If a Superior Court case is appealed to the Court of Appeals, the Superior Court (the very court that ruled against the tenant) has the discretion to determine whether to stay the execution of the judgment during the appeal. Similar bond requirements must also be satisfied by the tenant in a Superior Court appeal. 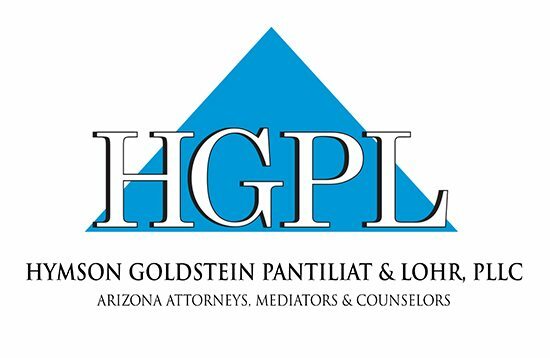 Should you have any additional questions or are ready to hire an attorney to handle your eviction matter, please contact attorney John L. Lohr, Jr. jll@hgplaw.com or 480-991-9077.